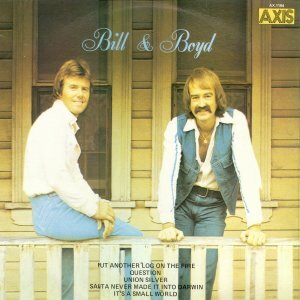 Bill and Boyd were a pop duo consisting of Bill Cate and Boyd Robertson from the Hutt Valley near Wellington. They were school mates at Wellington’s Naenae College. 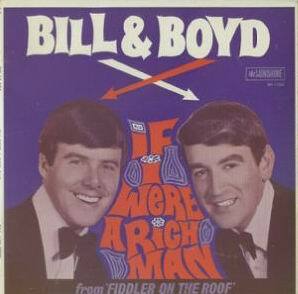 They started recording together in 1960, and relied heavily on doing covers of overseas artists’ songs before the original versions made it to New Zealand. Their favourites were the Everley Brothers and they did well locally with versions of “Cathy’s Clown” and “Crying in the Rain”. 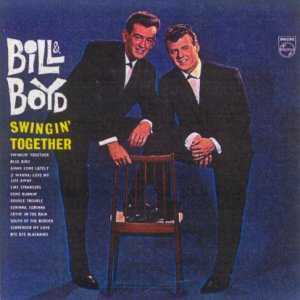 Their first year was spent on the Peak label, where they recorded five singles during 1960 and 1961. The most successful was their cover of “Corrina Corrina”. They switched to the Philips label late in 1961. 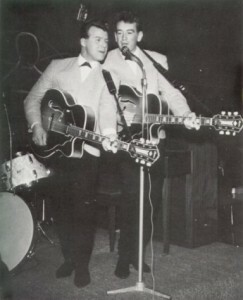 In 1963, the duo moved to Auckland and joined the Peter Posa tour with Max Merritt and the Meteors, Dinah Lee and Lou and Simon. 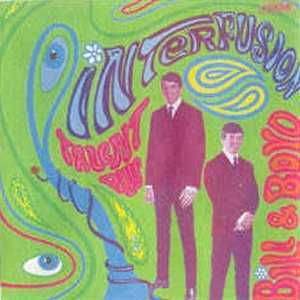 In 1964 Bill and Boyd moved to Australia on the strength of their first Australian hit “Chulu Chululu”. It was a bright, sing-along song recorded live at the Rotorua Sound Shell in New Zealand. The talented pair were quick to gain popularity, appearing regularly on TV, particularly on Bandstand, and working clubs around Australia. They left for America early in 1968, touring with the Supremes and Herb Alpert. On their return to Australia, they established themselves as a top club act. In 1970, they joined Ron Tudor’s newly formed Fable label. Their first release, in July 1970, was a version of “It’s A Small World” which, although a steady seller, didn’t quite make the top 40. 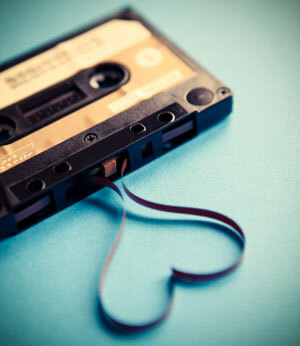 They had several releases of singles and albums over the next four years. It wasn’t until 1975 that they had their most success, after recording a song called “Santa Never Made It Into Darwin”. 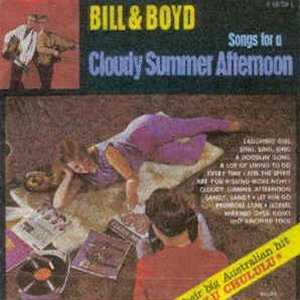 The song documented the events of Cyclone Tracy that devastated the city of Darwin on Christmas eve 1974. The song made it to number 1 on the Australian national charts. 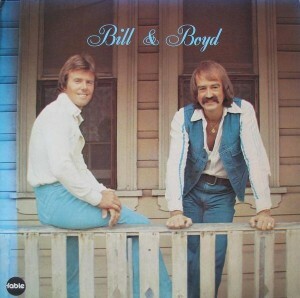 Their 1975 album release was “Bill and Boyd”. It was released in two formats, the first from Fable and the second from Axis. The Axis version contains three extra songs, two of which have not been available anywhere else. 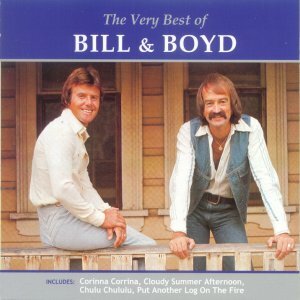 Another single called “Put Another Log On The Fire” followed, and Bill and Boyd were a household name in Australia. After that they took a break from recording and concentrated on touring. 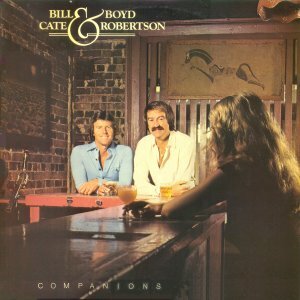 In 1978 they went back to America and under the direction of Glen Campbell recorded an album called “Companions”, which was released in February 1979. They continued to tour the club circuit in Australia until the late eighties, attracting quite a large following of loyal fans wherever they went. 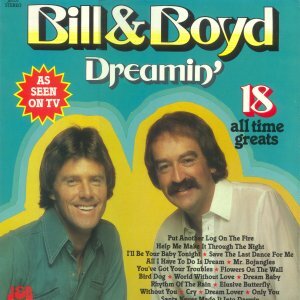 J & B Records have released an album of their all time greatest hits called “Dreamin’ ” and in 2003 we finally get a CD compilation from EMI of all their greatest hits.